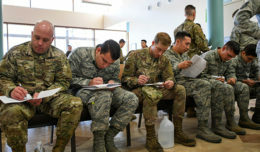 WASHINGTON – The Department of Defense announced a one-year extension to the Armed Services Young Men’s Christian Association Military Outreach Initiative, according to DoD officials. Originally set to expire in March 2015, the contract with the YMCA will now continue uninterrupted until March 2016. “We are very pleased that we are able to extend this opportunity for another year,” said Rosemary Williams, deputy assistant secretary of defense for Military Community and Family Policy. 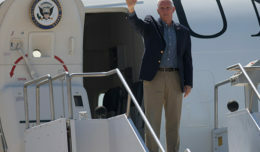 “The Department of Defense maintains its commitment to support all military families, in particular to those who serve in geographically dispersed assignments,” Williams added. The partnership between the DoD and the Armed Services YMCA offers no-cost memberships and respite child care services to eligible service members and their families during times of deployment and to those geographically dispersed. 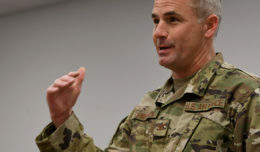 The department’s contract with the Armed Services YMCA for the Military Outreach Initiative will continue to offer access to no-cost fitness and child care, Williams said. These services, she said, will remain uninterrupted for eligible members and families as the contract moves into its encore year.